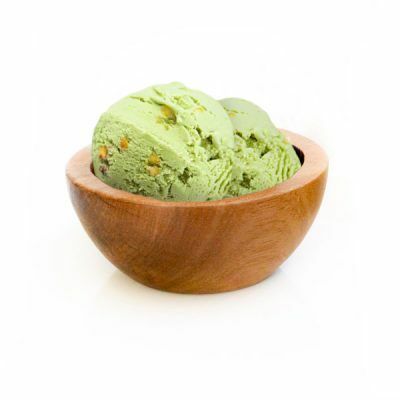 Pure Pistachio Gelato is made using exclusive imported Sicilian pistachios from Bronte, Italy, where they are known for their naturally elegant taste and color. The first plants of ‘Pistachia Vera’ were imported during the Great Roman Empire over 2,000 years ago. In Sicily they are called ‘Oro Verde’ (Green Gold). Our Pistachio gelato is the crown jewel of our classic collection. A tantalizing blend of old and new ltalian tradition, this timeless favorite will please many generations to come.